The Big Island of Hawaii is the third most popular Hawaiian island among visitors, hosting over 1.5 to 1.7 million travelers annually. Often called the "Big Island" to help distinguish it from the 1,500-mile long archipelago with which it shares its name, Hawaii, the Big Island has certainly earned its nickname. Sitting in the middle of the Pacific Ocean, the landmass of the Big Island is approximately the same size as the state of Connecticut, about 4,050 sq. miles and still growing daily thanks to Kilauea Volcano on the eastern coast of the island. Composed of five major volcanoes, the island is the youngest in the Hawaiian chain with origins dating back some 800,000 years to present day. It is not purely these massive geographic bodies that create the mystique of Hawaii. There is a world in Hawaii that resides upon the slopes of these mountains that rivals any other place on Earth. Mother Nature pulled out all the stops when she created this place. Waterfalls of unimaginable beauty, giant cliffs that tower above crashing waves, rivers of molten lava, snow-capped peaks, barren deserts, lava fields, rainforests, and valleys of indescribable beauty adorn this sacred land. An island bursting with new life of all kinds, from the fresh land to the unique flora and fauna, there is no other place quite as magical as this one. The Big Island of Hawaii seems determined to break the norm; the stereotype of the average tropical island, that is. Here you'll find the ongoing battle between green forests, black lava fields, the ocean, and the rain almost incomprehensible; the diversity is simply stunning. You may find yourself wondering, "Is this an ancient landscape or a future one?" On the Big Island, it's always best to expect the unexpected. Even the beaches don't follow the rules here. It's almost easier to find a black sand beach than a white one, and if you're adventurous enough, you can even sink your toes into one of the world's few green sand beaches. Hikers, horseback riders, and land lovers in general will find a wide variety of stunning peaks, valleys, forests, and lava fields to explore. Water lovers will find a plethora of water activities awaiting them, especially on the leeward side where the two giant volcanoes create near pristine water and wave conditions year round. Snorkeling, kayaking, fishing, SCUBA diving, and much more are superb here. Those who prefer to stay dry land will also enjoy a myriad of land activities. Golfers, beach lovers, and bird watchers can also take pleasure in knowing there are unmatched locations for each of their passions. The Big Island of Hawaii, of course, is the largest landmass in the Hawaiian island chain- which consists of eight major islands and 124 islets. The archipelago is made up of numerous volcanic islands in the central Pacific Ocean stretching in a 1,500-mile crescent from Kure Island in the northwest to the Big Island of Hawaii in the east, encompassing an area of 6,459 square miles. 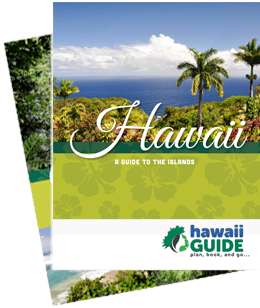 The eight major islands at the eastern end of the chain are, from west to east, Niihau, Kauai, Oahu, Molokai, Lanai, Kahoolawe, Maui, and the Big Island of Hawaii. The vast majority of the Big Island's visitors stay in the Kailua-Kona area with its fantastic weather, abundant shopping, and vast array of dining options. This region also features a wide variety of accommodations, from high-end resorts and condominiums to quaint B&Bs and inns. The ocean off the Kona coast is clear and great for both snorkeling and diving. To the north of Kona is the Gold Coast of Kohala. While drier and more barren than Kona, the region offers amazing beaches, great weather conditions, and several luxury accommodations to choose from. On the other side of the island, you'll discover Hilo and the Puna region. These are good locations to base from if you're interested in exploring Hawaii Volcanoes National Park. This part of the island receives an abundance of rainfall that creates the lush and green surroundings. Accommodations are harder to find, but a few hotels, small inns, and private rentals can be found, especially in the Volcano Town area. The volcano area, which is located at a crisp 4,000 ft. above sea level, is dotted with a wide assortment of homes, bed and breakfasts, and small cottages for renting. This area, too, serves as a great place to stay if you're mainly interested in exploring HVNP. And speaking of the park, most visitors would be wise to forget anything they've seen or heard about the volcano long before they visit the island. The erupting volcano photos, the videos, and all the hype about lava everywhere are just that... hype; at least at present. The media and the park create impossible expectations as they try to draw in the public. Most visitors will be surprised that Kilauea is nothing more than a smoking caldera with no visible lava. The only way to get up close and personal with the volcano is to take a helicopter tour that will take you over the current eruption location. Occasionally, visitors may also be lucky enough to catch a surface pahoehoe lava flow near the end of the road; but all of these things can change in an instant. Most of the lava/magma is flowing underground to the ocean. Those who have an appreciation for geography or geology will love the park, though. Despite Kilauea being the most active volcano on the planet, the volcanoes of Hawaii are nothing like their cousins on the West Coast of the U.S. Mainland (Mt. St. Helens or Mt. Rainier). They are not explosive and pose little threat to visitors on the island. Plus, the lava flow moves at a turtle-like speed that you could outwalk if necessary; no running required. To fully appreciate and explore Hawaii Volcanoes National Park, you'll want to give yourself at least one full day, preferably two if possible. There are many great hikes within the park and several stops which offer informative displays about the history of the region. Also be wary of VOG (a volcanic smog) when visiting the park. It is ironic, but what is so easily forgotten about the Big Island is what is the most obvious: its size. You can expect lots of driving on the island. The quick and frequent stops found on the other islands in the chain don't always exist here. Some drives are spectacular, while others are long and even dull. Because the island so large and diverse, many people have compared driving around Hawaii to a nine-state road trip. But don't let the Big Island's size scare you off; it just means there's more to explore. Where else could you go snow skiing, walk to a lava flow, surf, snorkel, and visit a rainforest in the same day? Where else could you find an island that emits the mana– the aura of Hawaii–quite like this one? Steeped in lore, full of adventure, bursting with life, and home to the only land younger than you are... Aloha to the Big Island of Hawaii!